GRANADA (FIBA Basketball World Cup) - Brazil's problems in defending the perimeter and stopping Pau Gasol in the paint area proved costly for the South Americans who conceded their first defeat of the 2014 FIBA Basketball World Cup. 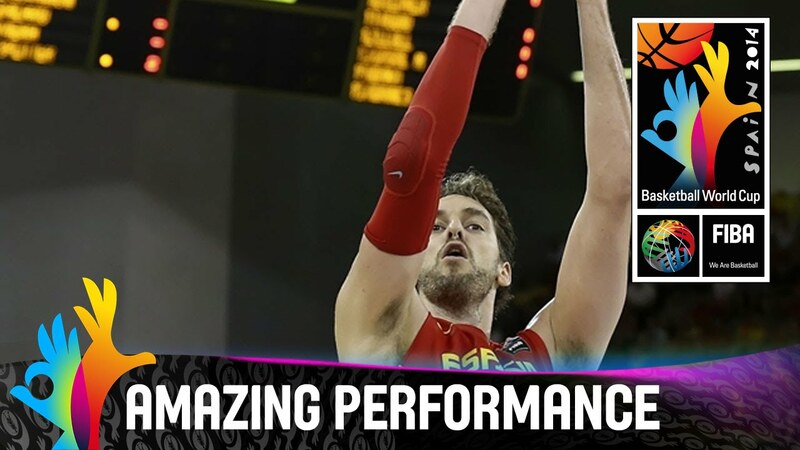 Gasol was simply unstoppable as the host nation stretched their winning streak to three victories, with a comfortable 82-63 victory. The new Chicago Bulls recruit converted from every imaginable place spot of the Brazilian. He made three of five shots from behind the arc on his way to a game-high 26 points. Brazil took to the court and playd a very physical game, but seemed to have forgotten to protected the perimeter, conceding 11 three-pointers. To make matters worse, Ruben Magnano's men could not make attempts from beyond the arc themselves. Marquinhos Vieira explained that when a team plays like Spain did, it is almost impossible to bounce back. "Tonight we came across an inspired Spanish team. When players like Pau Gasol shoot 3 for 5 from the three-point line it becomes very difficult to react," he said. "The shots they made boosted their confidence in the other end of the court as well. "Surely we can improve this gap on our game and must improve our three-point shooting also in order easy the lives of Tiago Splitter, Nene Hilario and Anderson Varejao. "We did not have a great game tonight. We are now thinking about playing Serbia and compete for the second place in the group." With the win, Spain booked their place in the Round of 16, while Brazil, France and Serbia are still battling to join them. Four teams from each group advances. Gasol, the man of the night, said the host nation played a good game. "It was the first opponent that we could measure our potential in the tournament. I am really pleased with the team game," he said. Jose Calderon followed suit and praised his teammate: “We knew it was about time. We just tried to play out game, sharing the ball and find the wide open guy. "We know guys who can play inside and teams are going to collapse down there. So, we have to be ready to shoot the ball. If he (Pau) keeps shooting threes like that, twos are going to be fought to stop."